When I was a teenager in Edmonton, I used to walk through the Italian neighbourhood and its lovingly maintained residential gardens en route to Edmonton Eskimo football games. Many years later, that identity is, if anything, stronger, thanks in no small part to the Italian Centre Shop, in the heart of the community. Modernized and expanded to nearly a block by Teresa Spinelli after taking over from her late father, Frank, the store is a great place for weekend people watching. 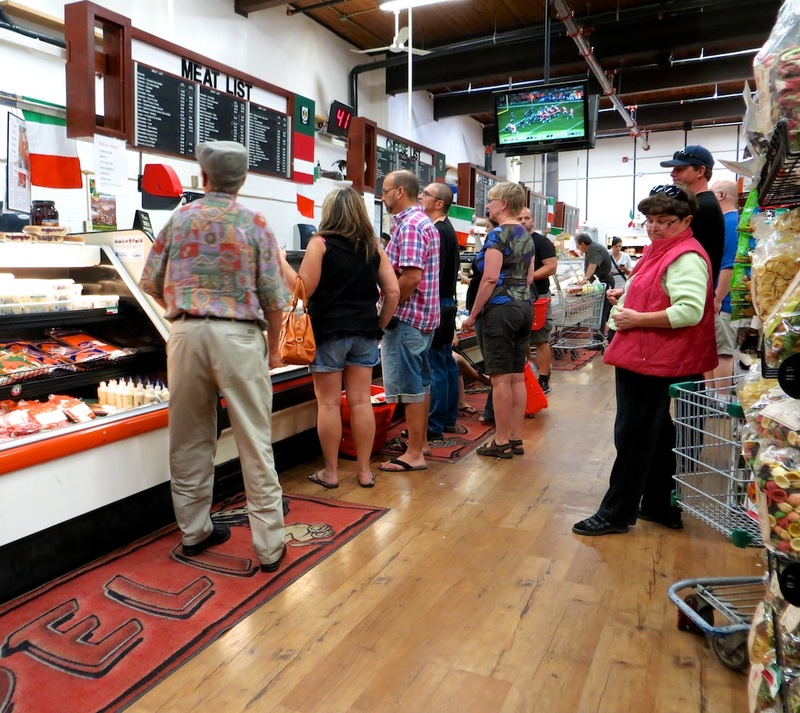 Customers can be seen hovering over peppers, fresh figs, pastas and tomatoes or lining up at the deli to order sliced mortadella, capicollo or Genova salami (ask for samples), along with a large selection of cheeses and olives. A good summertime strategy is to order a panini or pick up some deli cuts along with fresh ciabatta or pagnotta bread and have a picnic in the park across the street. You can also order thin-crust pizza (for a bargain $3 a slice or $11 whole) and an espresso, tossed back Italian style, in Spinelli’s Bar Italia at the store’s south end. Another boyhood memory is having weekend dim sum at Moon’s Restaurant and shopping in the nearby market. Back then, Edmonton’s Chinatown, just east of downtown, was both an exotic attraction and a sketchy area peppered with unhygienic kitchens. The neighbourhood doesn’t look a whole lot different nearly four decades later, so it’s with mixed apprehension and interest that I enter the Veggie Garden Restaurant. The sparkling clean tables and washroom are reassuring, as is the kindly owner, who immediately informs me this Chinese/ Vietnamese restaurant is strictly vegetarian. Here, you could have fun fooling unsuspecting carnivore companions by ordering lemongrass “shrimp” or stir-fried “pork” and seeing if they could tell they were really eating tofu (actually, it’s never made sense to me why vegetarians would want to use terms like hot dogs or burgers to describe their food). 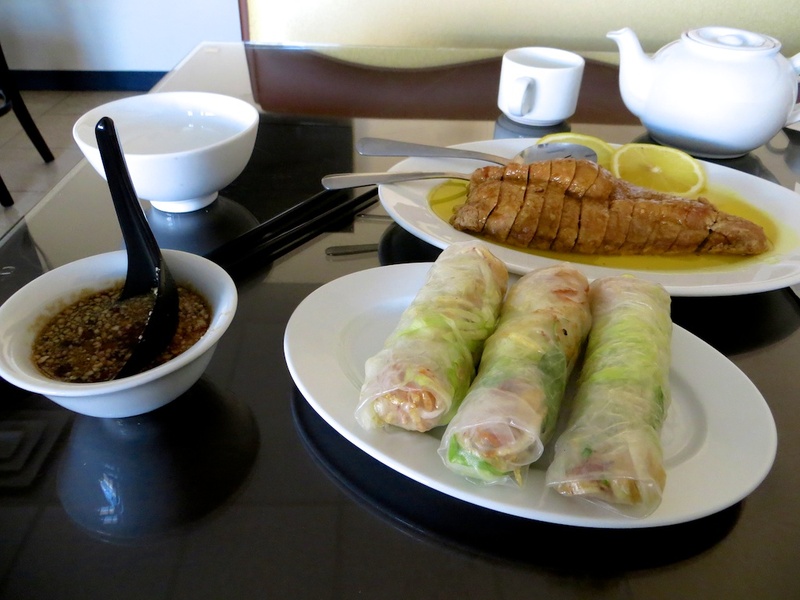 In any event, the food is delicious, especially the shredded potato and jicama salad rolls and the sliced “chicken” in a slightly too sweet lemon sauce. Guess what? It tastes like chicken. My meal, including appetizer, is a ridiculously cheap $12; I have another meal from the leftovers. One part of downtown Edmonton that’s definitely been upgraded is the stretch of 104th Street between Jasper and 104th Avenues. The old brick warehouses and office buildings have been scrubbed and filled with trendy shops and cafes. 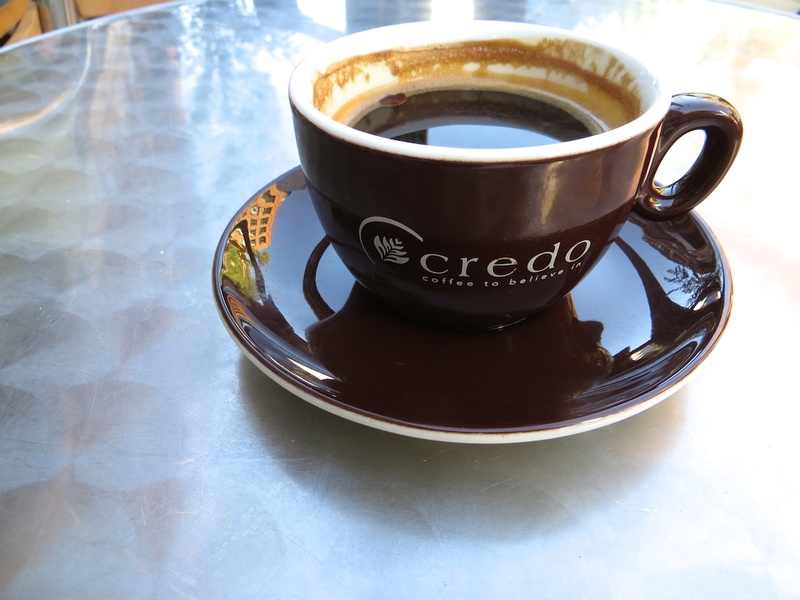 Here you’ll find one of Edmonton’s coffee hotspots, Credo—with it’s Intelligentsia beans, thin, crisp cookies and homemade granola bars—and a newcomer, Roast Coffeehouse + Wine Bar, featuring a bizarre maple espresso with candied bacon; sorry, I couldn’t bring myself to try it. 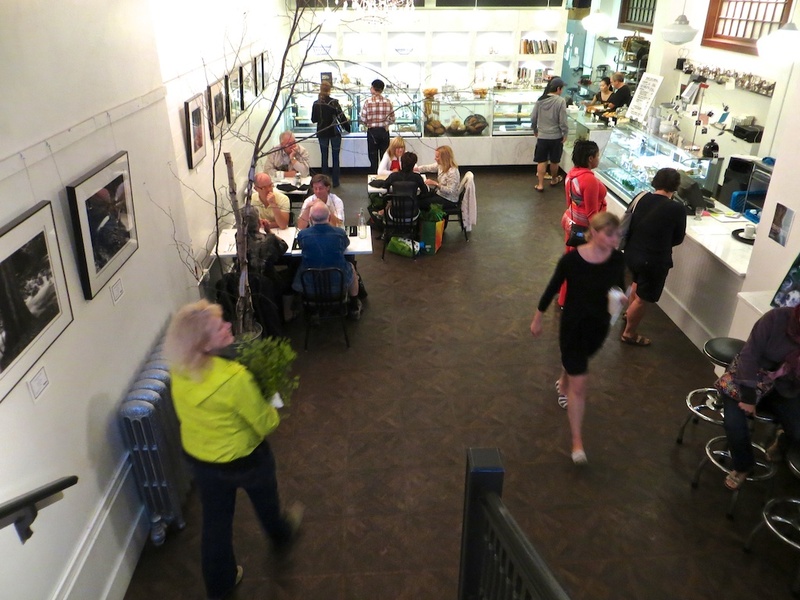 But my favourite place along this downtown strip is Dauphine Bakery and Bistro. 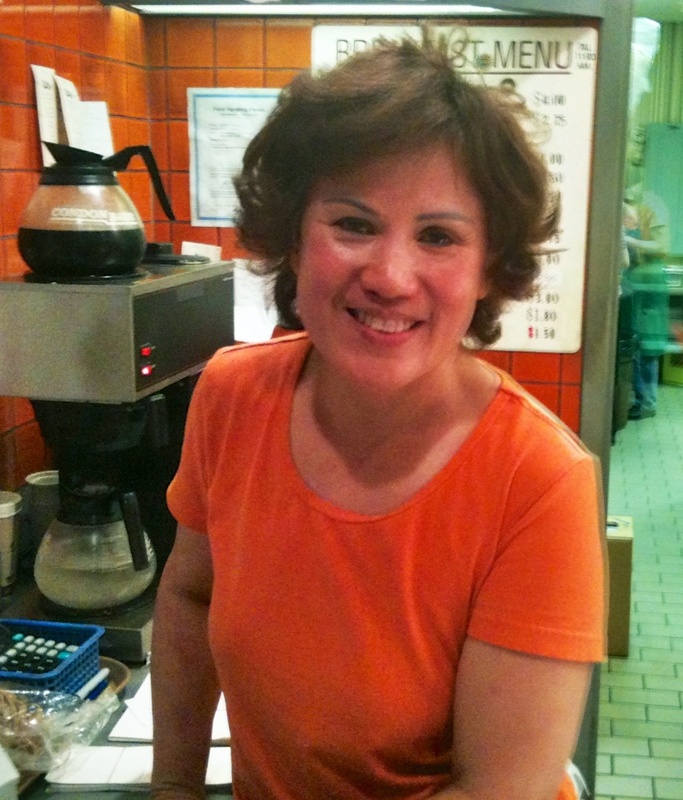 A lawsuit forced owner Linda Kearney to abandon her original name, Queen of Tarts. But she hasn’t lost the recipes for her fabulous lemon curd and white-chocolate pistachio tarts, carrot cake and smoked salmon and leek quiche. Plus, she’s somehow turned a downstairs location into a bright, airy space. What I really like is the attention to detail, whether it’s the antique silver sugar bowls or the dense, round sunflower or pumpkin seed breads that use natural leavening agents; they make great, sourdoughy toast. Yes, the cost of many things is a little steep, but you’re paying for quality and locally sourced ingredients. There are some lovely, reasonably priced lunch options such as a wild, smoked salmon plate with rye bread and organic greens or a Pan Bagnat sandwich, featuring marinated tuna, tapenade and arugula, served with a pea and fennel salad (both $13). Amidst the leafy, upscale streets of Glenora sits the nicely appointed Vi’s for Pies. Here’ll you’ll find matrons gathering for tea and key lime pie, alongside businessmen and guys in pressed jeans meeting for lunch. As the name suggests, Vi’s is best known for decadent desserts like chocolate caramel cake and a strawberry shortcake gorgeously perched atop a three-berry scone. 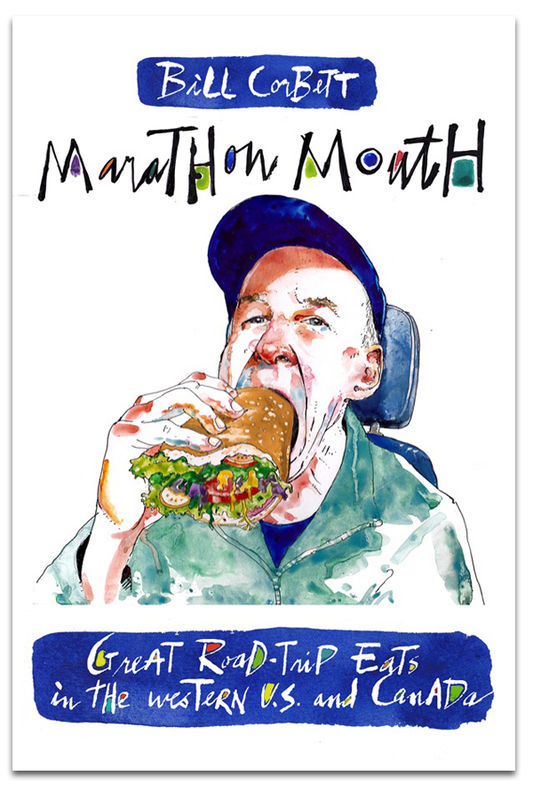 But it also has some tasty lunch items like the popular chicken pot or shepherd’s pie or the less filling roasted chicken bunwich. The best value, though, might be the half rack of pork ribs or the beef brisket, both $14.50 and slow roasted over pecan and apple/mesquite wood. 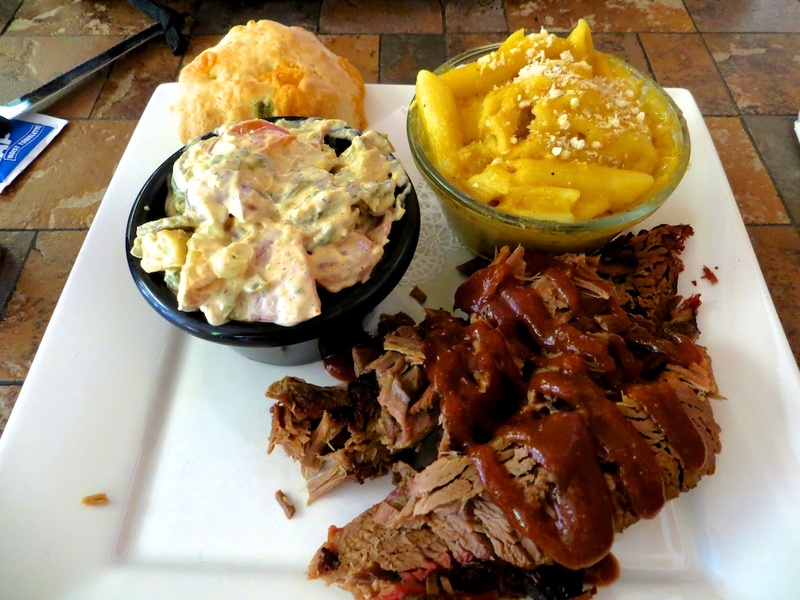 Both come with two of the following four sides: little bowls of mac ‘n cheese, spicy potato salad, baked beans and cole slaw. Oh, and there’s a cheese biscuit thrown in for good measure. Suffice to say, after shovelling down this large meal, there’s no room for dessert, and I can only dream of raspberry lemon cream pie or apple pecan caramel cheesecake. Sigh. As the name suggests, The Next Act has long been associated with the rich arts scene in Edmonton’s historic Strathcona district, just off Whyte Avenue; the Fringe Theatre Festival’s headquarters are visible through the front windows. Before and after shows, patrons gather for a brew and a bite, sitting in booths or at high tables while perhaps eying an old black-and-white movie playing soundlessly on a corner TV screen. For the first act, I’d suggest ordering a local Alley Kat pint from the many beers on offer. 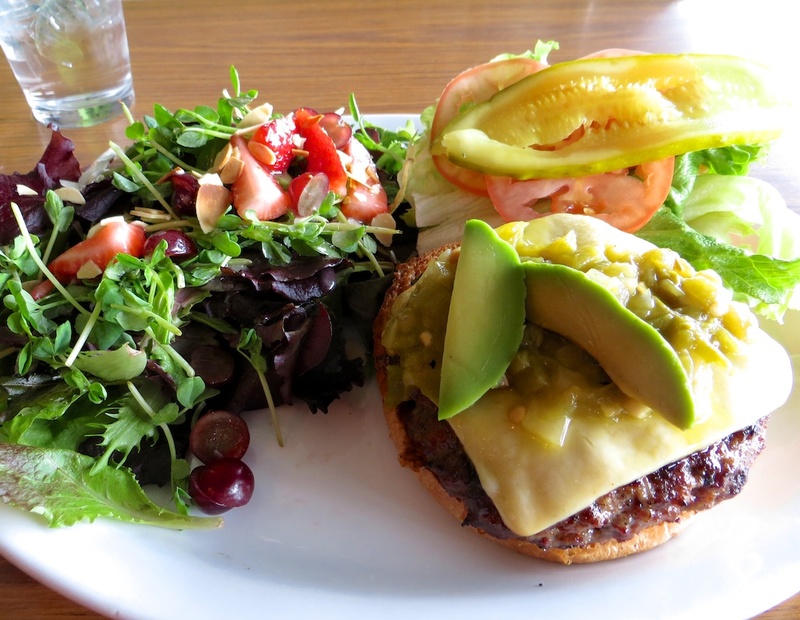 For the second, go for one of the excellent, theatrically named burgers, such as my Director’s ($14), a succulent patty covered in avocado, jack cheese, stewed chilies and sufficient other fixings to stretch my jaw like a visit to the dentist. It comes with fries, but I advise paying a buck more for a good mixed-greens salad dotted with pea shoots, strawberries, halved grapes and slivered almonds. 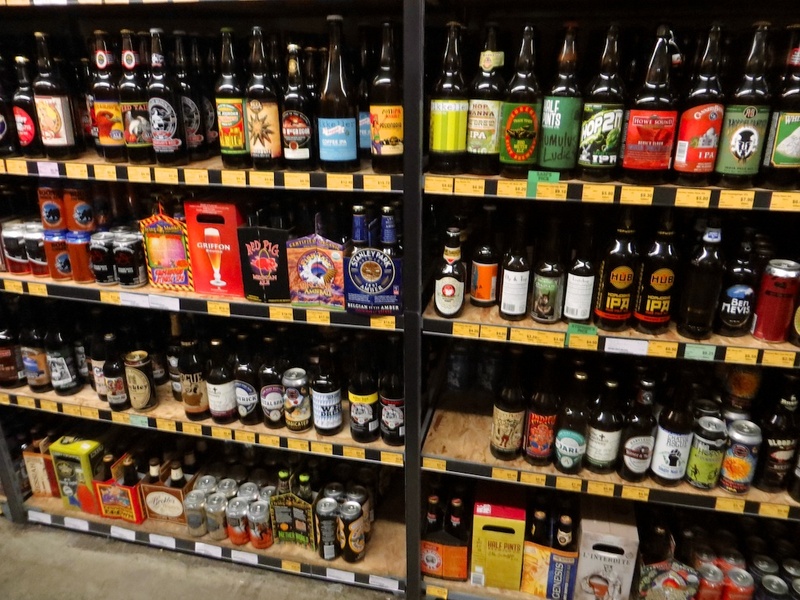 The folks at *Sherbrooke Liquor Store say they have the finest selection of beer in Canada, with more than 1,400 brands in stock. I believe them. Mind you, there’s no clue when I pull into a grimy strip mall off busy St. Albert Trail and push open the aluminum doors flanked by mirrored windows. But then I hang a sharp right into the walk-in cooler jammed with narrow aisles stacked to the ceiling with exotic beers from around the planet. Suddenly, I’m in beer candy land, and it’s all I can do to not empty my wallet on dozens of ales, stouts and hefeweizens I’ve never seen before. I restrict myself to three world-class choices—a Belgian Mikkeller Geek Breakfast beer (with a dense chocolaty, coffee taste for easing me into the morning), an outstanding Scottish Innis & Gunn winter treacle porter (like all their beers, aged in oak) and an Oregon Deschutes Brewery Red Chair, recently named the world’s top beer, though a little hoppy for me and much more expensive here than in the U.S. By now, you’ve probably figured this ain’t the place for your watery, bargain-basement 24-pack. And I’m sure Sherbrooke has a fine selection of wines and spirits, but I never give them a glance. I venture into the basement of a downtown Edmonton office tower to visit a fast-food court. I’m at Chicken for Lunch for its signature hot and dry chicken, much loved by regulars. But really, I’m here just as much for its exuberant owner, Amy Quon. And she doesn’t disappoint. “Here, you need some skinny noodles with that. It will make you skinny,” Amy says as she ladles food into a Styrofoam container. When I tell her I’m from Calgary, working on a road food blog, she piles some ginger beef on for me to sample. At the rate she’s going, I’ll soon be fat. Yes, it is food-court fare, sitting in steamer trays, though it’s constantly being replenished to keep pace with the daily lunch lineup. My nuggets of hot and dry chicken are crispy, a little greasy and mildly spicy, the chunks of broccoli and carrots crunchy and the skinny noodles providing a nice, moist base. But Amy, thinking I’m still too skinny, gives me the business card for her other family restaurant, The Lingnan. This entry was posted in Alberta, Canadian restaurants, Edmonton, road food and tagged Alberta, Edmonton, restaurants on July 2, 2013 by bcorbett907. Great research Bill! You hit some great spots and now we have a couple of new ones to try. At first blush, here is what was missed for good affordable food at reasonable prices. I will send more once I consult with the kids as they know places we don’t go to. Maybe we can see one another this summer! Love the blog and need to travel now….